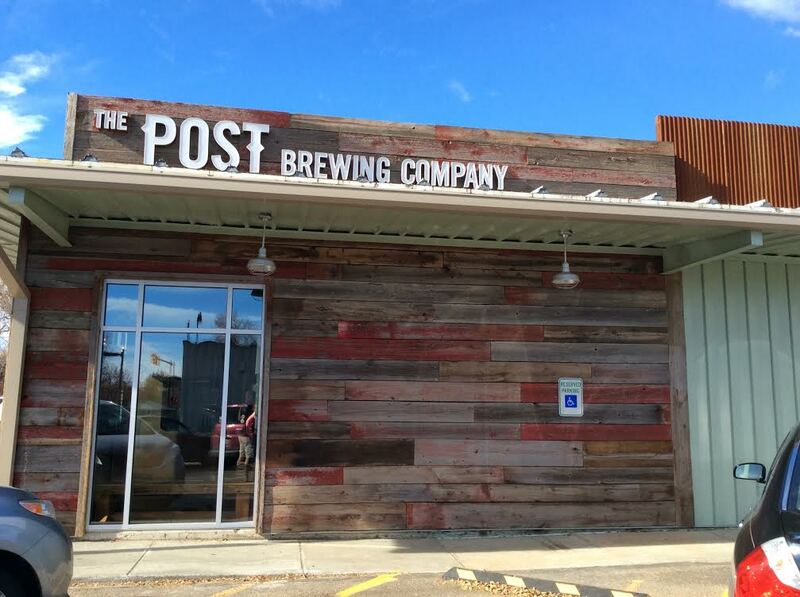 Approximately ten months after they first opened their doors, I finally made it to The Post Brewing Co. in Lafayette. There are several newer breweries in Colorado that I still haven’t gotten around to visiting, as working full-time doesn’t always allow quite enough free time to keep up with them all. 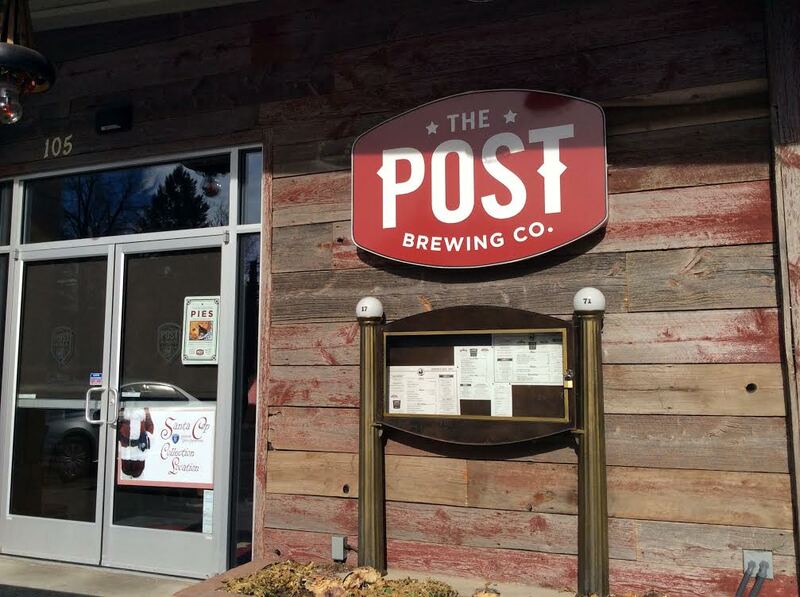 But The Post was especially attractive to me for one reason (beyond having heard great things about their beer)–it is a full restaurant in addition to a brewery. And not only that, but the kitchen and brewery work with each other to create food and drink that pair well together in order to give their customers the best possible experience. Buttermilk Cheddar Biscuits with honey butter. My guest and I were greeted by Brewmaster/Partner Bryan Selders, who approached our table with appropriately-named Howdy Beer in hand. 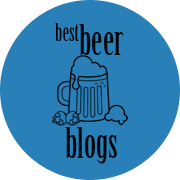 Not only was Howdy Beer a good choice choice because of its name, but it won a silver medal at this year’s Great American Beer Festival in the category of American/International Style Pilsner. There’s nothing better than a liquid appetizer! But I was hungry too, and while I wasn’t quite ready to order my entree I had browsed the menu and was certain I needed to try the buttermilk cheddar biscuits with honey butter. While we got acquainted with Bryan, I gladly chowed down on the biscuits while sipping my beer. The two complemented each other very nicely; I think a darker beer would have made the biscuits seem heavier than they actually were, so the pilsner was the perfect choice. 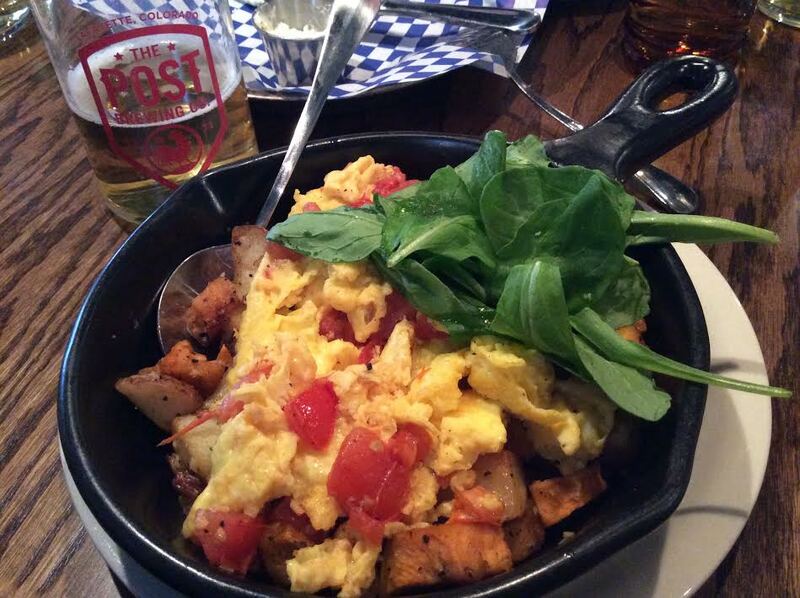 Vegetable Hash Scramble: eggs, roasted tomato, root vegetables, arugula. With a Howdy Beer (Pilsner). 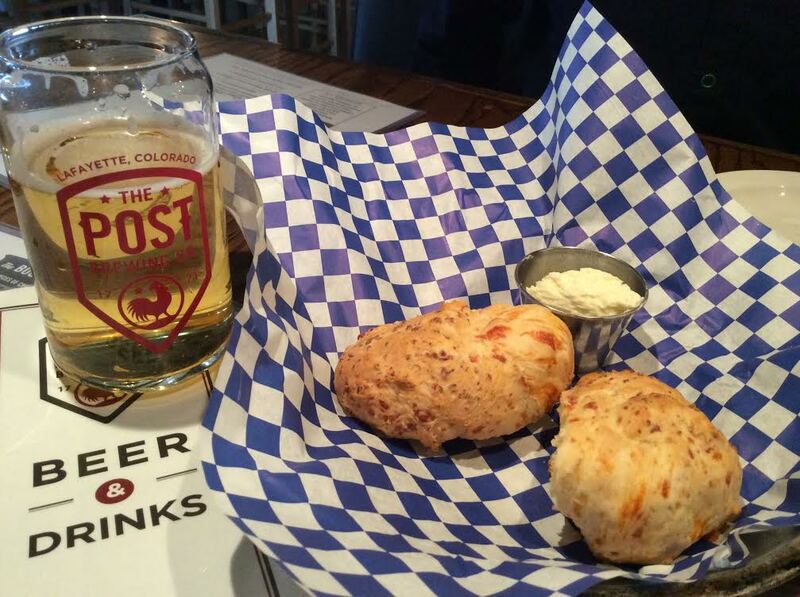 The Post specializes in comfort food, and I’ve been told their fried chicken is really fantastic. But this vegetarian didn’t have any problem finding a tasty meatless dish on the menu: I ended up going with the Vegetable Hash Scramble while my guest (also vegetarian) enjoyed the Ranch Breakfast–a basic dish of eggs, potatoes and Texas toast (normally served with bacon or ham). The hash was quite flavorful and seemed pretty healthy, as it did not contain cheese as veggie scrambles often do. 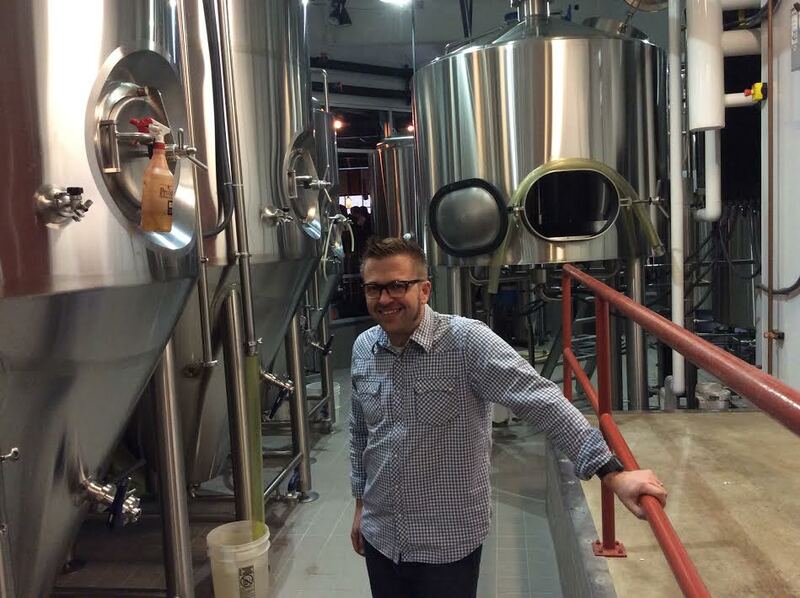 In the brew house with Brewmaster Bryan Selders. As I savored my meal I sampled a few more beers: Meathooks Dark Mild Ale, Large Marge Double IPA, Big Rosie Porter, and Efite “Saison-ish Beer.” Bryan was more than happy to guide us through all the beers, giving us information on the ingredients, brewing process, flavor profiles, and more. And they were all superb: well-made, drinkable, just delicious in every way. It’s clear that a lot of hard work, time, effort and care go into the production of the beers at The Post. And I can say the same for the restaurant too, thanks to Chef Brett Smith. My experience at The Post was wonderful. I truly enjoyed the space, atmosphere, service, beer, and food. Oh, and they also have live music during Sunday brunch (and when it’s warm enough, the performances are held outside on their large patio). 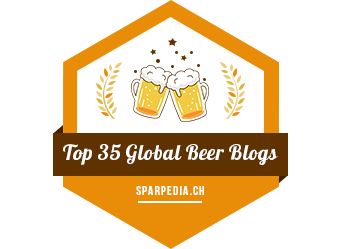 So if you’re looking for a great meal at a brewery with top-notch beers, this is the place! Brett SmithBryan SeldersLarge MargeMeathooksThe Post Brewing Co. 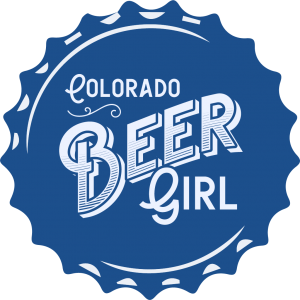 Previous Post Beer travels: Why is Colorado so strict on carding?